Wordcloud of the Trump acceptance speech at the Republican Convention. Not alot of insight to be had. Possibly because of the teleprompter he used. 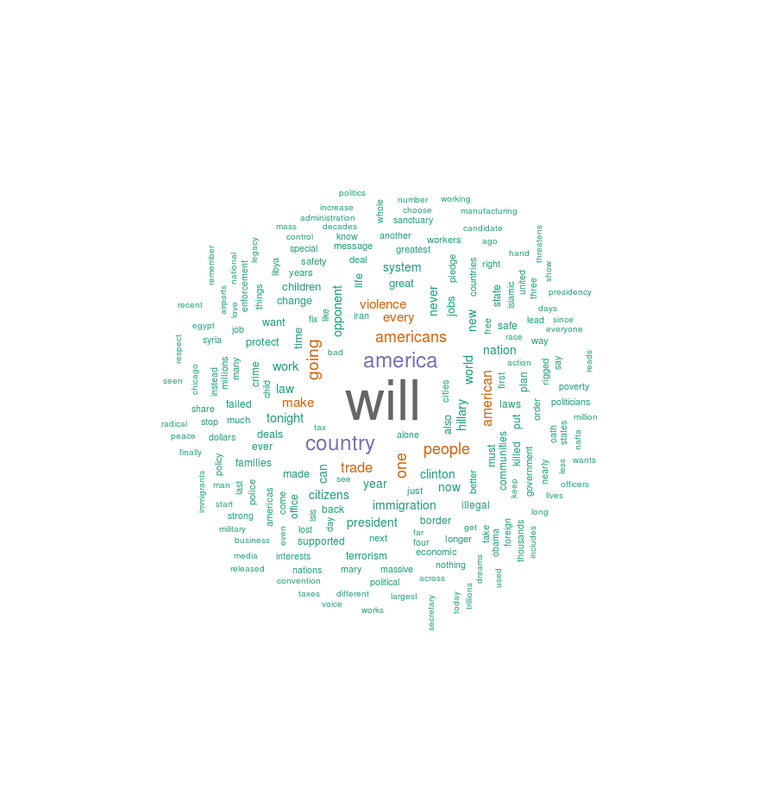 Posted in R and tagged r, trump speech, wordcloud by admin with comments disabled. So I’ve made some tweaks of work by Ed, to automate the data ingest. # Format has two lines for each year. Posted in musings, R and tagged climate change, r by admin with no comments yet.